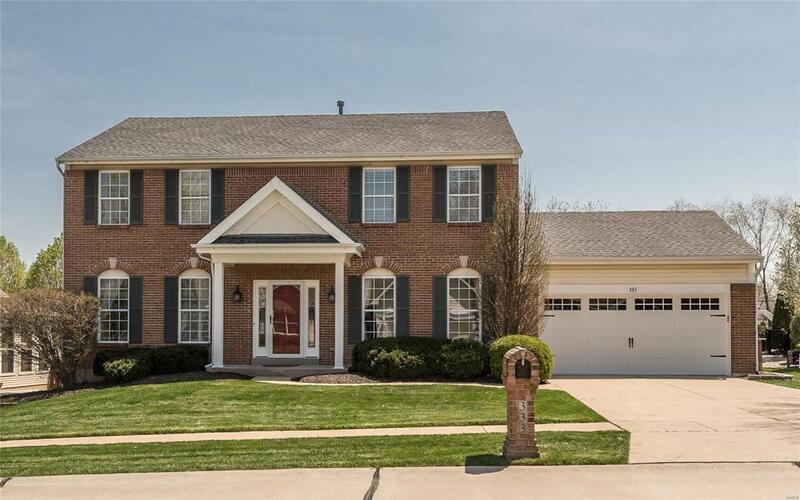 Stately brick 2 Sty in popular Lake Chesterfield! 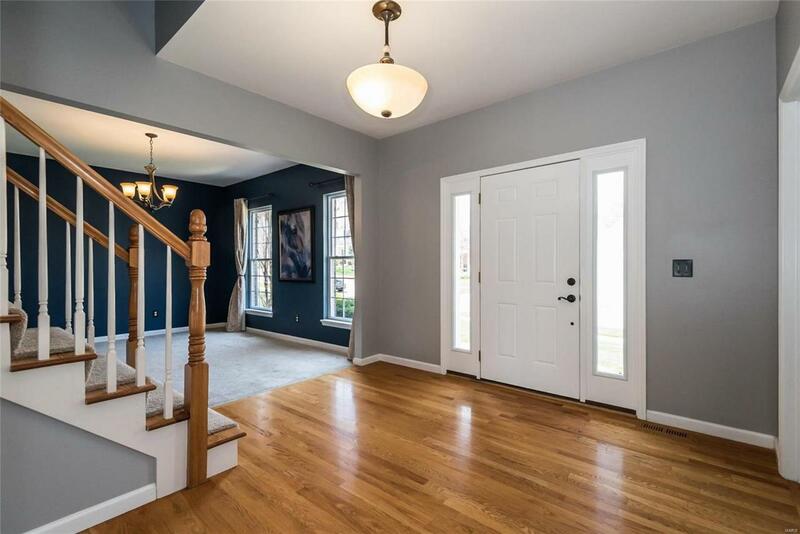 Impressive covered porch entrance leads to hardwood foyer, private study with French doors & work area with custom built-ins, formal dining room & spacious family room with wide bay window & floor-to-ceiling brick fireplace. Chefs kitchen with granite countertops, 42 oak cabinetry, stainless steel appliances & center island with breakfast bar adjoins light-filled breakfast room with convenient planning center & sliding glass door that opens to expansive deck. 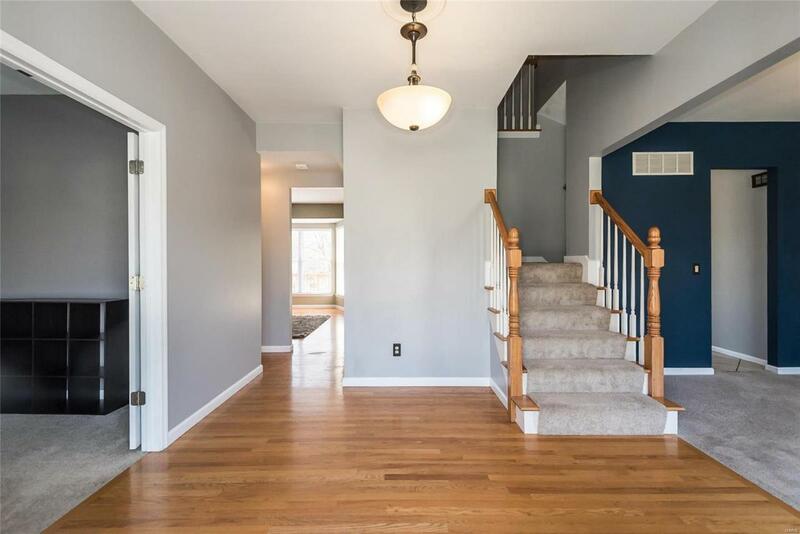 T-staircase accesses vaulted master bedroom suite with huge walk-in closet & luxury bath plus 3 generous-sized additional bedrooms, 1 with ensuite bath & 2 with Jack n Jill bath. Outdoor living area includes deck & stamped concrete patio with firepit. Situated on an extensively landscaped lot with fenced level backyard & 2-car garage. 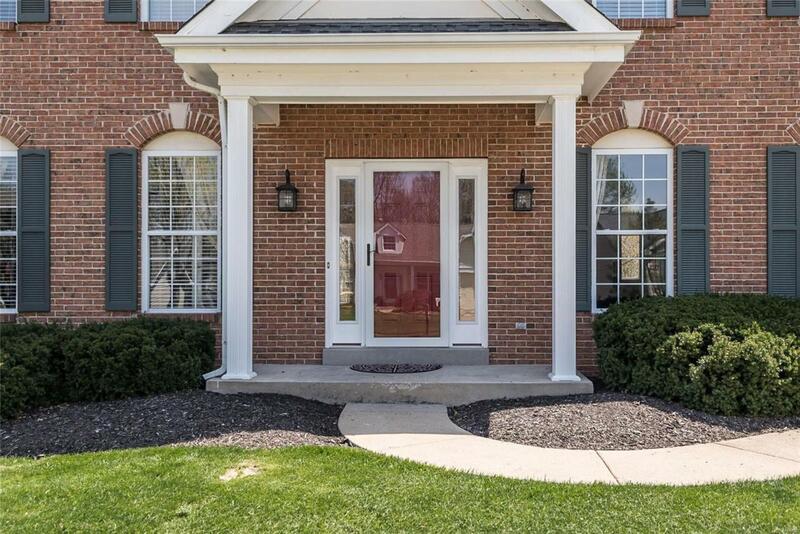 Neighborhood community with pool, tennis courts, clubhouse with fitness center, 3 lakes & walking trails. Award-winning Rockwood School district.